The Episode starts with Chakor meeting Anjor. Anjor introduces herself as Anjy. The lady asks Anjor to introduce Chakor to the faculty. Jatin and Poonam meet their relatives. Anjor gets helpless and unwillingly talks to Chakor. Chakor says we met before at the temple, I blessed you, we met again. Chakor thanks Lord that she got the job. Anjor thinks why is Lord doing this with me. Chakor’s papers fly off. She picks the papers and asks Anjor to help. Anjor scolds her and says I m not your daughter, don’t try to make any relative with me. Jatin’s sister gets crying and blames Jatin for not taking care of her family well. Kiku asks where is Anjor. Anjor introduces Chakor as the new sports coach. She insults Chakor and says sorry, I was just joking. Chakor introduces herself to the students. She says I want to meet you all personally and then start the class. She encourages them to fly high. Prakash asks Sameer to go and give the gifts to Anjor. Sameer says you keep the gifts, I won’t give this to her, she just regards me a friend, not a lover. He goes and asks Anjor for dance. They have a dance. Jatin’s sister makes Poonam insecure, telling her that Anjor will go back to Chakor. Poonam gets shocked. Anjor puts the bracelet in Chakor’s bag and creates a scene. She says its worth 20 lakhs, it means its stolen. The guard checks Chakor’s bag. Chakor gets shocked when he gets the bracelet from her bag. Everyone scolds Chakor. Chakor says my bag was kept here, I didn’t do any theft, how will I know this if anyone has put bracelet in it. Sameer says she is right. Anjor doesn’t believe Chakor. Chakor says maybe its someone’s mischief, I didn’t steal the bracelet. Anjor asks lady not to hire such teachers who steal students’ things. She suggests that Chakor shouldn’t get appointed. Chakor says give me some time, I will prove my innocence. Anjor says you won’t be able to prove anything. 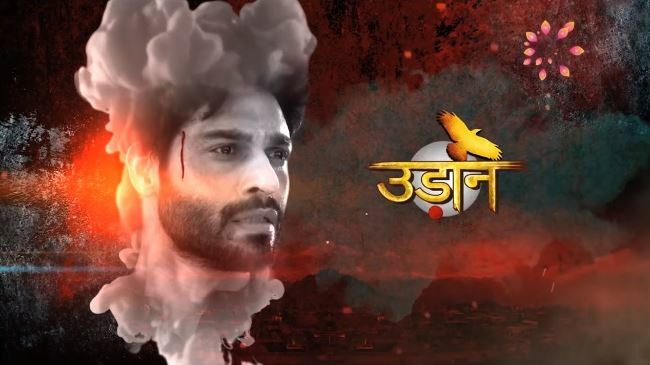 The post Udaan 28th February 2019 Written Episode Update: Anjor frames Chakor appeared first on Telly Updates.